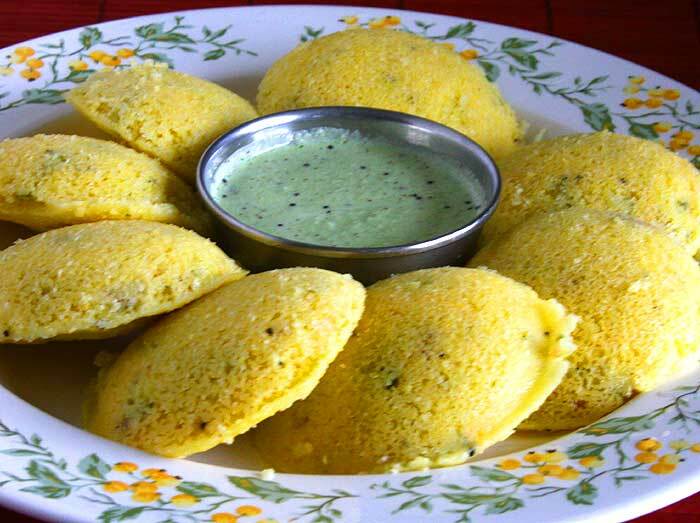 Vegetable rava (semolina) idli is quite popular in South Indian cuisine because of its ease of preparation. 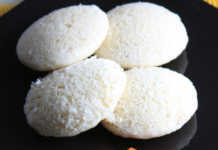 Traditional idli requires soaking of rice and urad dal separately, grinding them preferably in a wet grinder and allowing the batter to ferment for at least 7-8 hours. Making traditional idli requires a lot of planning and time. 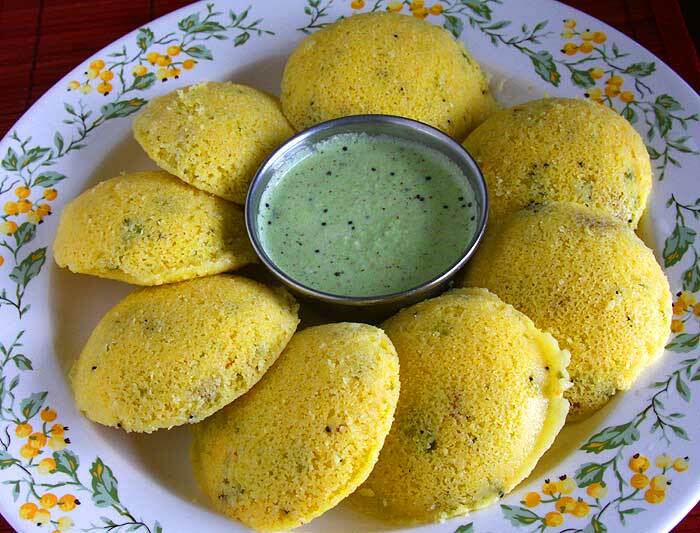 The beauty of this rava idli recipe is that it’s instant. 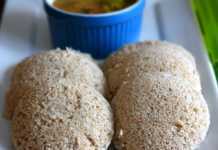 You can have hot and soft idlis in less than an hour. 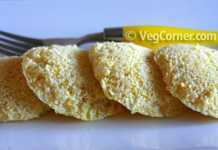 I have made idlis using whole cornmeal in the traditional method by soaking and grinding with urad dal and fermenting the batter but this time I wanted to try making instant cornmeal idlis using rava idli recipe as the base and I was excited that it came out very well. I normally buy a small pack of cornmeal to make vegan corn muffins and vegan waffles. Cornmeal gives a crunchy texture to waffles. Now I have another recipe and reason to buy cornmeal regularly. 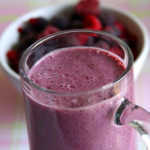 In a large bowl combine the cornmeal, yogurt, water, ¾ tbsp of oil, mix well and keep aside for 30 minutes. 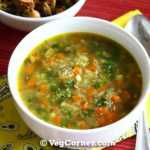 Heat the remaining ¾ tbsp of oil in a small pan and once the oil is a bit warm add the mustard seeds, urad dal, and chana dal. When the seeds crackle, add the green chili paste and curry leaves and sauté on a medium flame for a few seconds. 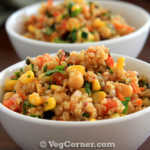 Also add the carrot, corn, french beans, and salt and mix well and saute for a few seconds. Keep aside. Add this vegetable mixture over the cornmeal batter and mix well. Just before steaming, add the fruit salt and 2 tbsp of water over it. You may want to add a bit extra water if you think the batter is too thick. When the bubbles form, mix gently and pour spoonfuls of the batter into greased idli molds and steam in a steamer for 10 minutes. 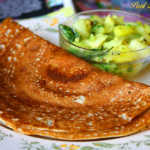 You can use the same recipe to make rava idli, oats idli, by substituting rava, oats instead of cornmeal.